Do you know out of 5 peoples out there, there are 4 peoples suffer from a foot problem?? There are so many common foot problems such as hammertoes, blisters, bunions, corns and calluses, heel spurs, claw and mallet toes, ingrown toenails, toenail fungus, and athlete’s foot. 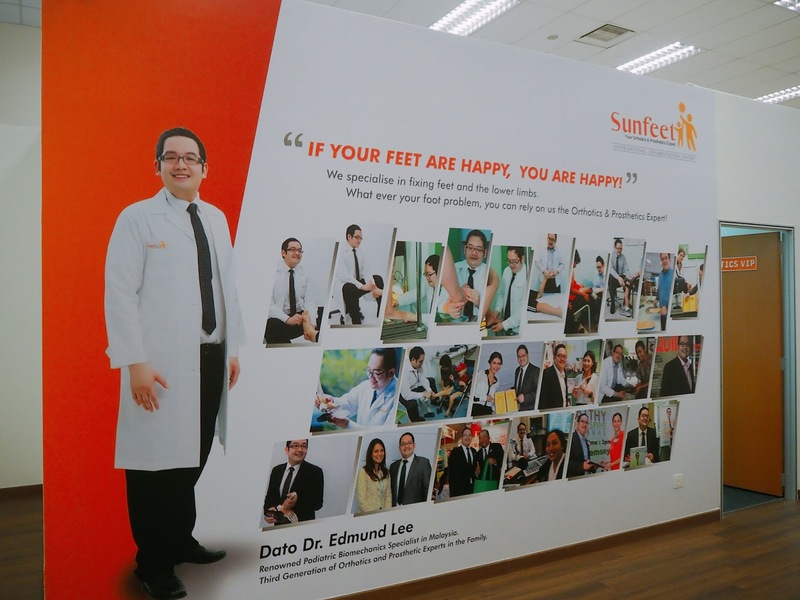 Follow me throughout the journey of learning how to care for your leg with Dato’ Dr. Edmund Lee. 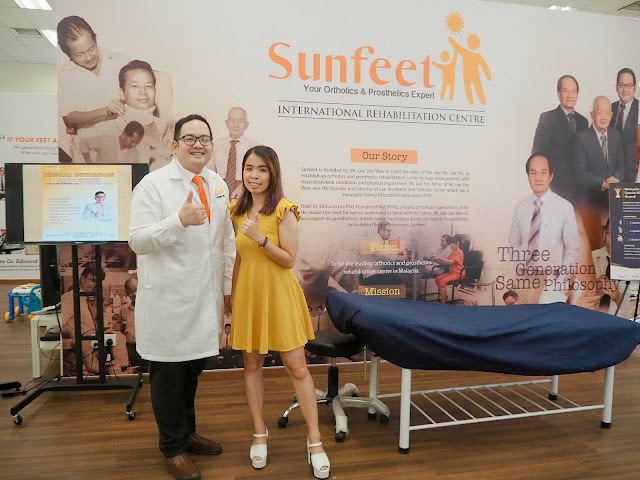 Visiting Sunfeet International Rehabilitation Centre for the first time! Do you also know that you can get a FREE Foot Analysis to check up too when you visit their center? YES for FREE! Sunfeet International Rehabilitation Centre is a one-stop foot health center that provides effective and affordable for your Orthotics & Prosthetics solution. So based on my own foot analysis report, apparently, my foot arch is too low which can cause back pain. All the while I don't really care about my foot arch, but overpronation can potentially cause injuries in the foot, ankle, knee and can further affect the pelvis and spine. 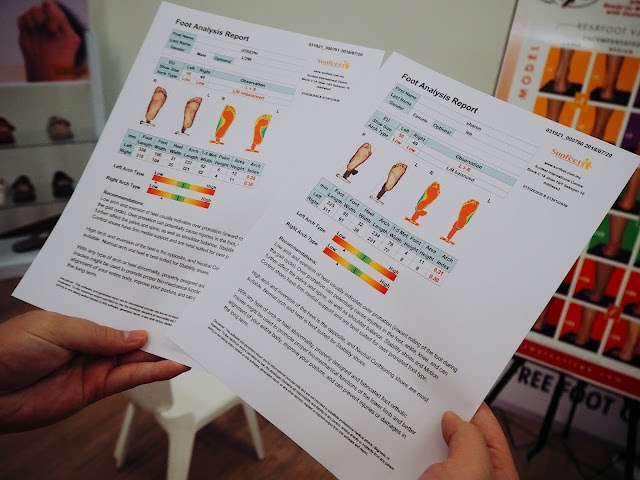 Base on the foot analysis report, it will also recommend which type of shoes or insoles that is suitable and prevent your foot problem by getting worst too. Awards and Certificates by Dato’ Dr. Edmund Lee Ph.D. If your feet are happy, you are Happy! Dato’ Dr. Edmund Lee Ph.D., the founder of MyORTHO, a brand of footcare specialist in 2010. 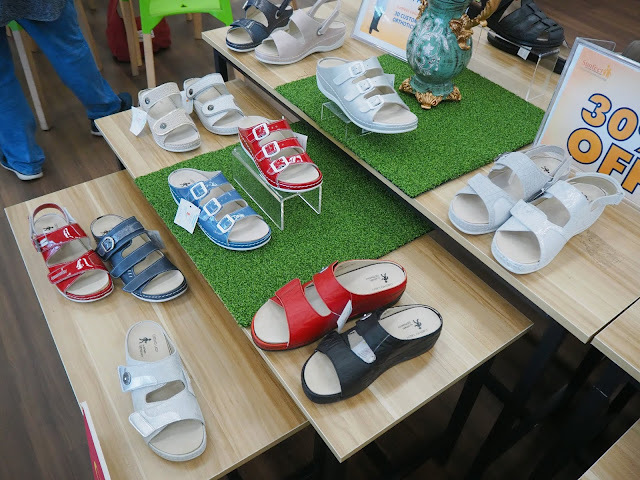 Being the 3rd generation and to accomplish his grandfather's dream, he starts to focus on building the family business, Sunfeet. 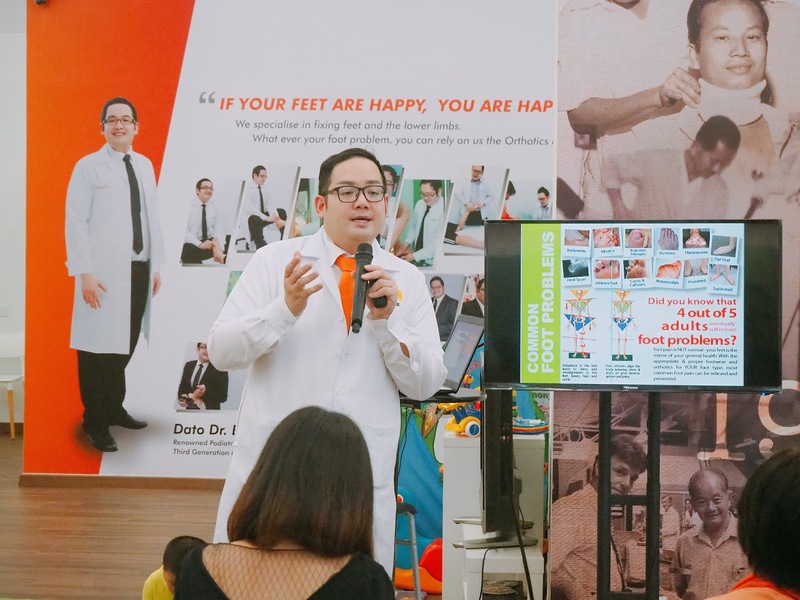 Throughout the speech from Dato’ Dr. Edmund Lee, I can feel the passion of Dato’ Dr. Edmund Lee wanted to reach out and educate the community about the importance of our feet. He even shares some of the tips on how to improve your foot problem, like doing stretching if you suffer heel pain; For Bunions, you can try out their 3D Custom-Made Orthotic Insole, or trying out their hallux valgus splint to prevent severe bunion. 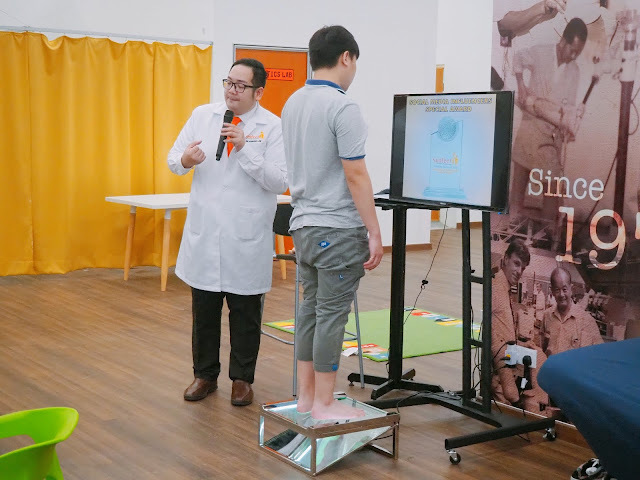 Dato’ Dr. Edmund Lee also guiding and do a live demonstration on how they create each everyone customizes insoles accordingly to your foot problem. 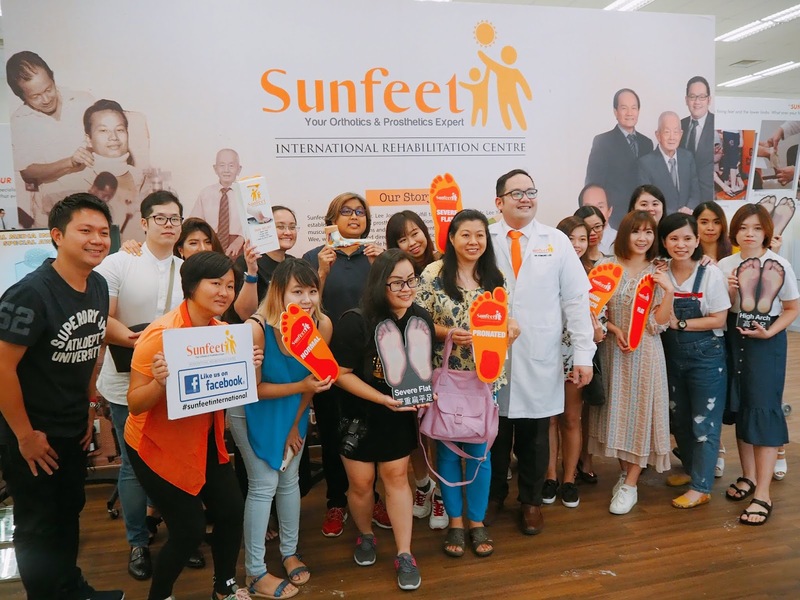 Before create this special customize insoles for your feet, a full consultation and examination are needed to understand the condition of your foot. 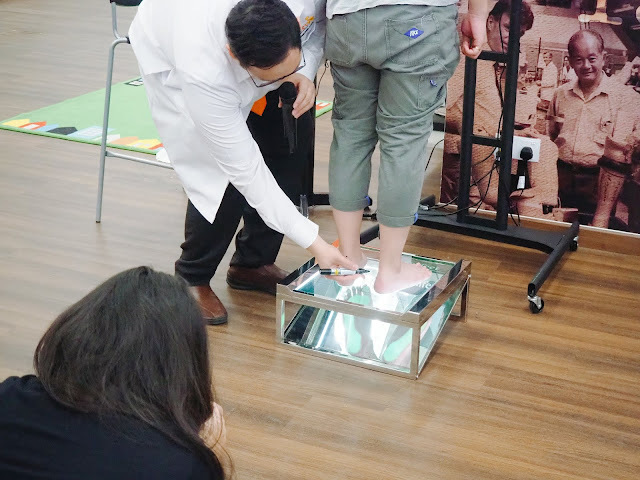 By measuring the correct angle of standing and feet posing when you stand. Next, is important to also check position by laying down too. High intensive massage on your leg, to relax and stretch muscles so that the bones are in the right position. Lastly, applying the cast for the feet and leave it for about 5-10 minutes. Your customized shoes insole is done! 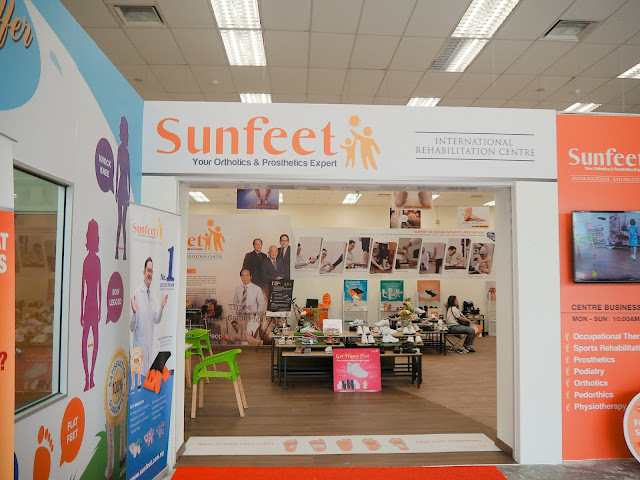 In Sunfeet International Rehabilitation Centre, they not only provide treatment and therapy to their customer. But you can actually find some comfy shoes that could improve and prevent your foot problem too. Can't believe some of the design actually is quite fashionable too! 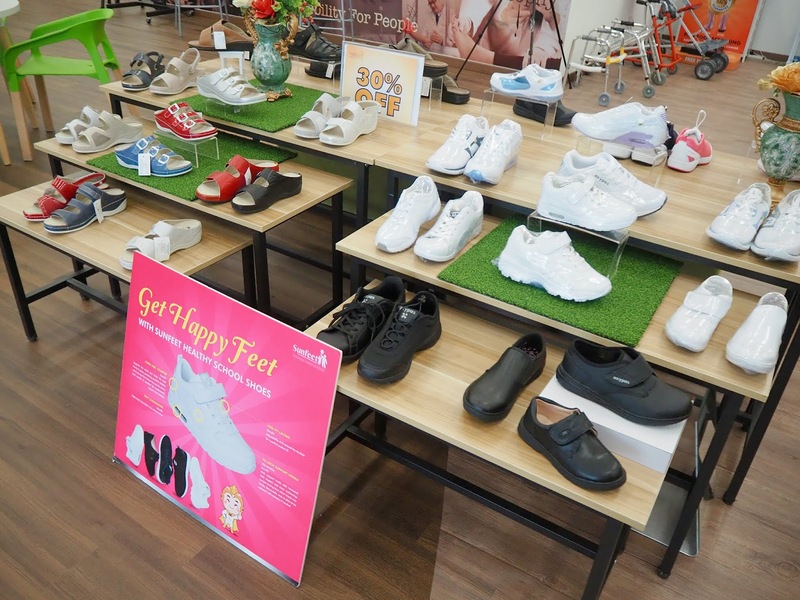 Love this tips by Dato’ Dr. Edmund Lee when shoe shopping! * Make sure you can wiggle your toes a little isnude your shoes. * Feet tend to swell a little during the day. So buy your shoes in the afternoon when your feet are at their largest! 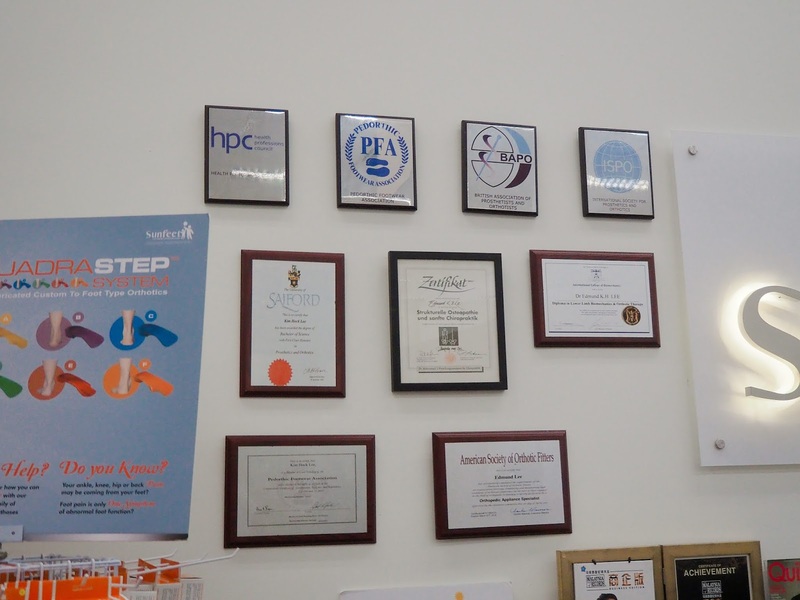 So what are the key benefits of creating your own 3D Custom Orthotic and why we need it? The one I hold is one of the 3D Prescription Orthotic Insoles which is so colorful. Group photo with Dato’ Dr. Edmund Lee and bloggers friends. 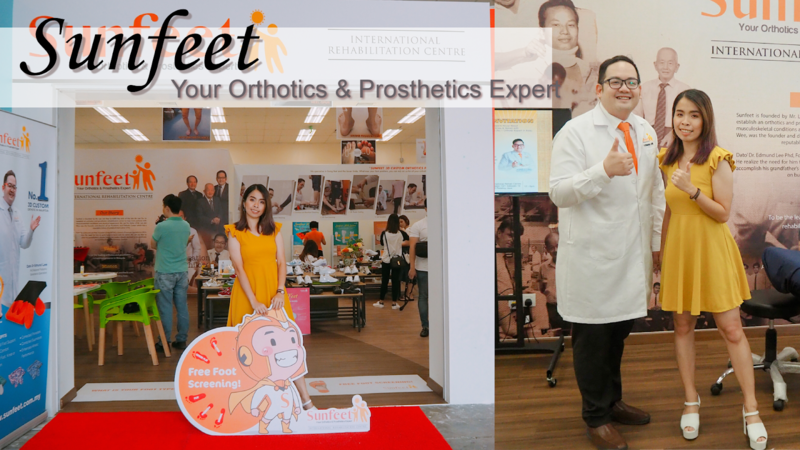 Honor to meet up with Dato’ Dr. Edmund Lee and learning about feet health education too! 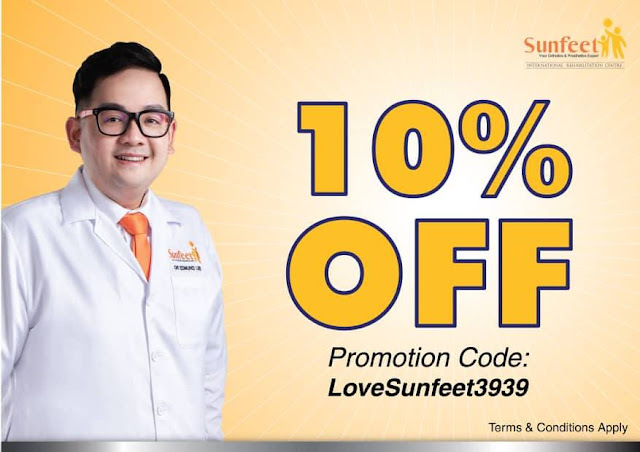 Lastly, for all my readers out there you can use promotion code LoveSunfeet3939 to enjoy 10% off for all shoes and custom orthotics! So what are you waiting for? 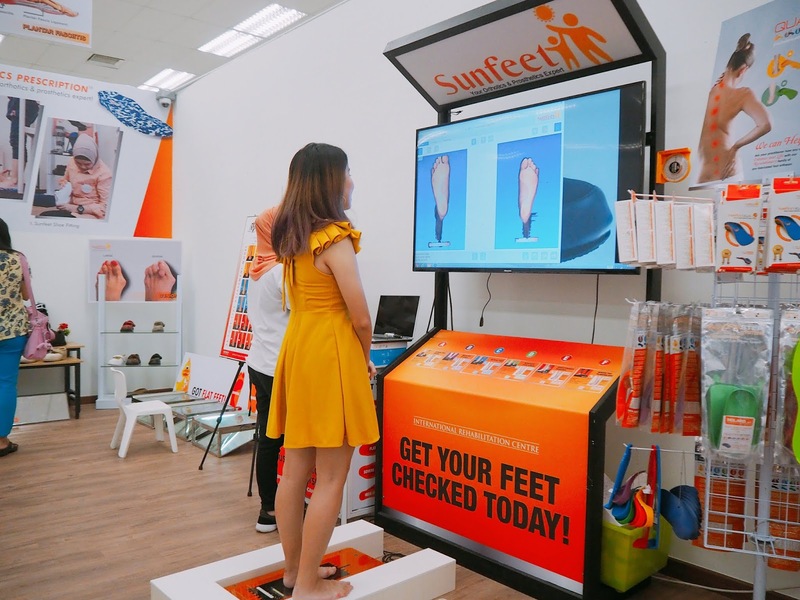 Grab the chance to get your foot to scan for FREE now! Follow their Facebook Page for more new updates too. Wow...apparently they can make a new pair of shoes for your in just minutes huh. Talk about speed huh these days. I believe this is the way to go to have healthier feet which begin with better pair of high-quality shoes. 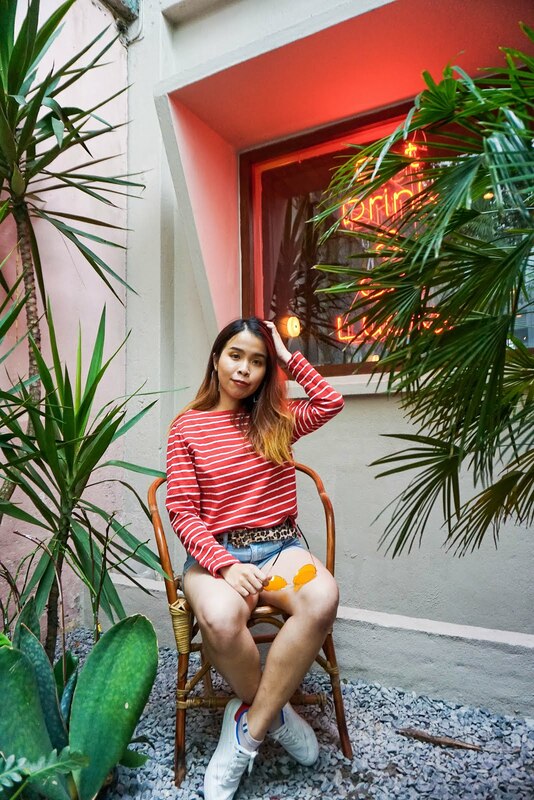 Do not ever feel the pain in the legs because you know how to do healthy feet but it's a lot of factors to know before buying yer good info ..
Our feet are the most used and abused parta of our body, and we tend to not care much for them, huhuhu. If we care much for the rest of our body, we must give them TLC as well. Yes! Feet is our body supporter too. I'm thinking to do one, how's the price range? Do check out their page or visit their center for free feet scan too! Ah, now I know that the best time to buy shoes is in the afternoon. I usually only buy at night when I have the time to go shopping. But I guess if the shoes are open-toed, the it doesn't make much difference. Hope that you manage to find the suitable shoes for yourself! What a meaningful event. This is interesting thou.